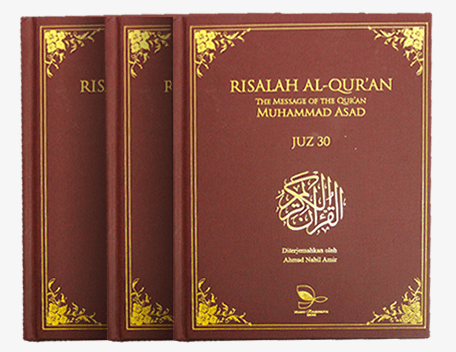 This is the first Malay translation of Muhammad Asad’s magnum opus The Message of the Qur’an. The hermeneutical approach of Muhammad Asad lies in the assertion that every Qur’anic statement is directed to man’s reason and must, therefore, be comprehensible either in it’s literal sense or allegorically. It is God who reveals the Qur’an and it is Him who bestows upon man the ability to understand it.